Binsted church, dedicated to the holy cross, is one of the largest and most interesting medieval churches in the north of the county. 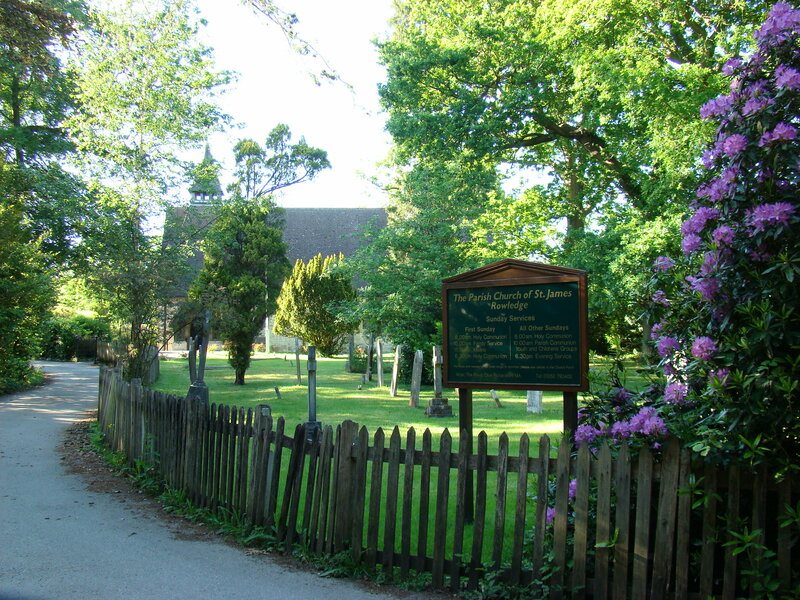 It served a large parish, much of which was covered by Alice Holt Forest, in which there were several small chapels of ease. Yet this big church remained a mere chapelry of Alton until 1865. It stands at the top of a greensand ridge and has the Alton arm of the River Wey just below and to the north. 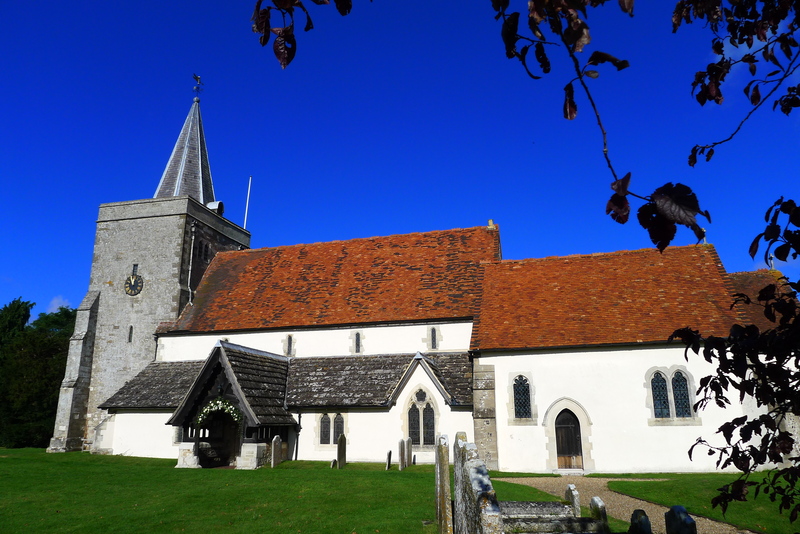 The present church dates from the early part of the 12th century but, as with Bentley and East Worldham, there could have been an earlier Saxon church on, or near the site.